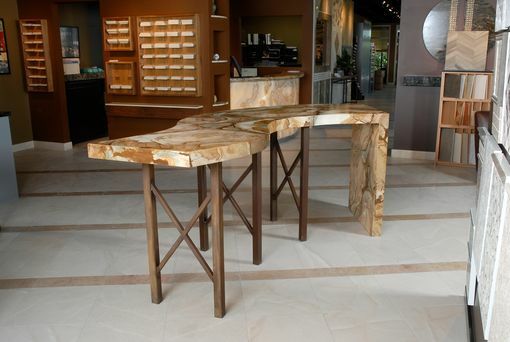 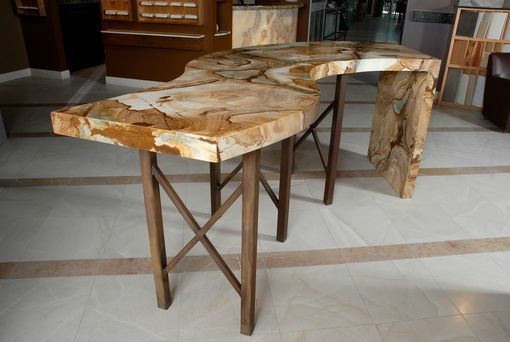 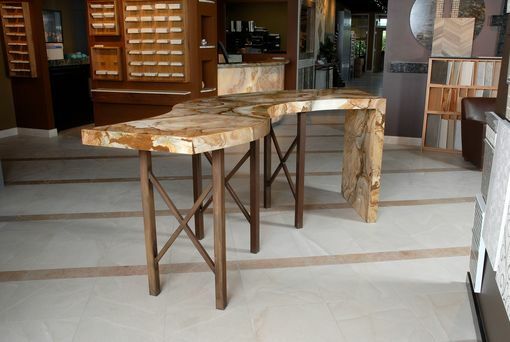 This incredible table was designed and made in collaboration with our natural stone partner, European Marble and Design. 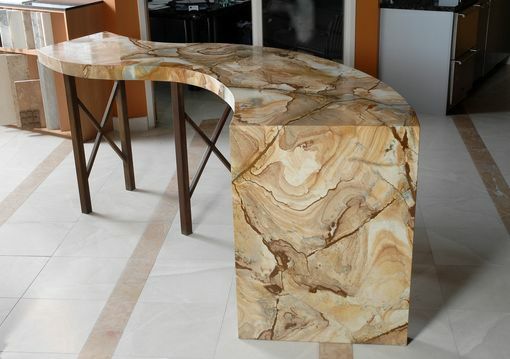 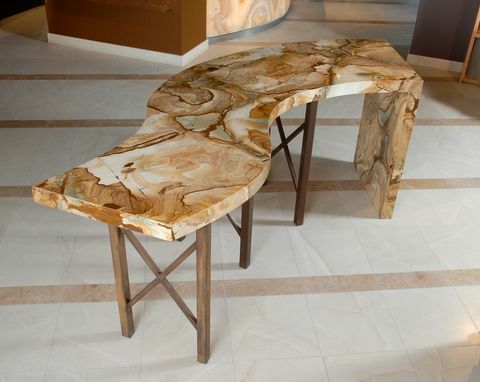 The quartzite top and return are exquisitely fabricated to perfectly match seams in the stone. 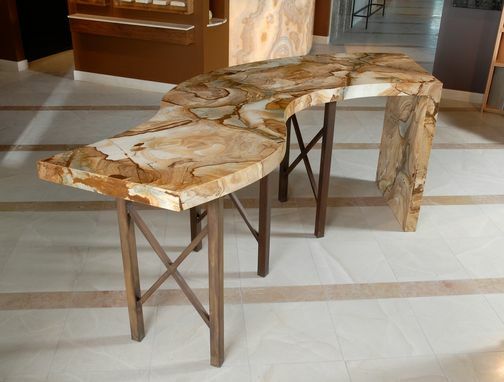 A stunning table for home, bar, or design workplace.